The new YMCA is almost ready for the public on January 11, 2016. Executive Director Dave Dubois gives a tour of the new facility. 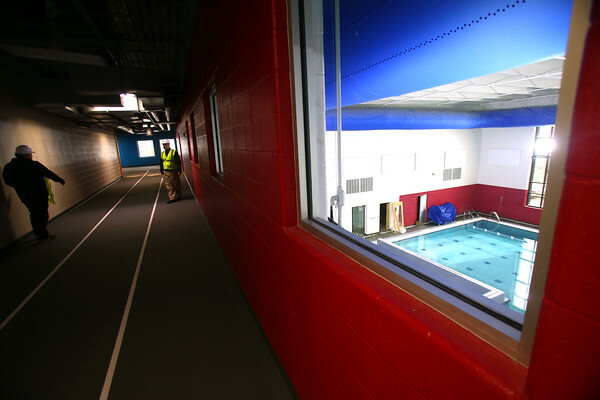 The running track passes windows looking down on the pool.